Students from Forli’s arts and music high school built a tactile replica for the blind of a famous work of art, to be donated to the city’s Civic Art Gallery. The students produced a bas-relief replica of the “Pestapepe” fresco. The project, titled “The hands tell what the eyes won’t say”, was selected as part of the second edition of the “I love cultural heritage” competition of ideas (2012-2013). The students made both paper and plastic replicas of the fresco: in the former case, they used 3D modelling with clay, which was then moulded using silicone rubber; in the latter they used drypoint printmaking. 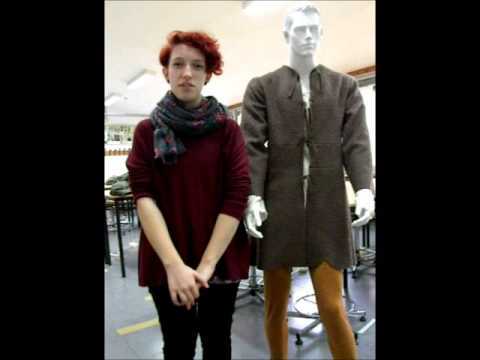 Students from the “Saffi-Alberti” institute were assigned individual tasks, and in addition to panels and multimedia presentations highlighting the results of their research, they also made a shirt, a tunic, and a pair of trousers from the “Pestapepe”.